Survey locations around the Australian coast for AUV imagery. Each circle represents several survey sites that a revisited yearly or every other year. 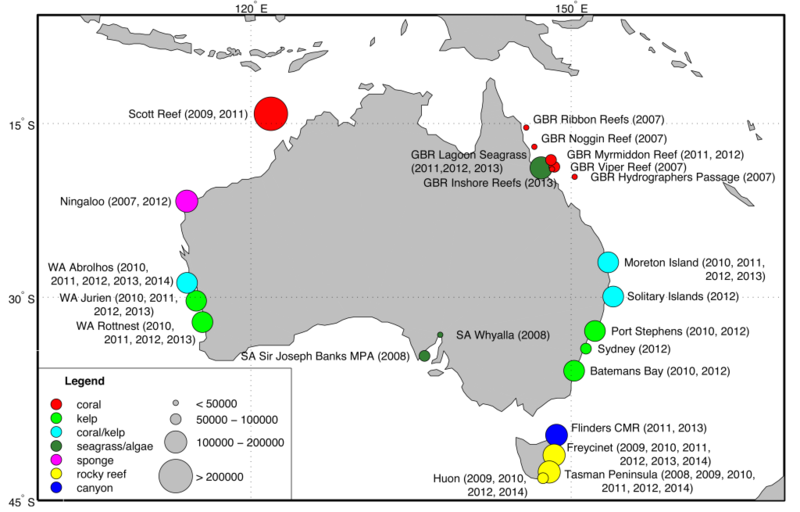 The circles are coloured by dominant habitat type and scaled based on the number of images currently available in the IMOS AUV Facility image archive. IMOS scientific end users have defined the location, extent and frequency of surveying of the sites that are being visited by the Facility’s AUVs. Over the course of five years we have conducted hundreds of dives at sites located around Australia, in the process collecting millions of seafloor images. The figure above shows a summary of the dive locations visited during this period. The focus of the sustained observing program has been on the establishment of benthic reference sites on both the east and west coasts along the full latitudinal range of the continent. The symbols on the figure designate the location of the survey sites and are colour coded by dominant habitat and sized proportional to the number of images currently available in the IMOS AUV Facility image archive. Through our extensive fieldwork, we’ve seen some very interesting behaviour from fish and other marine life. 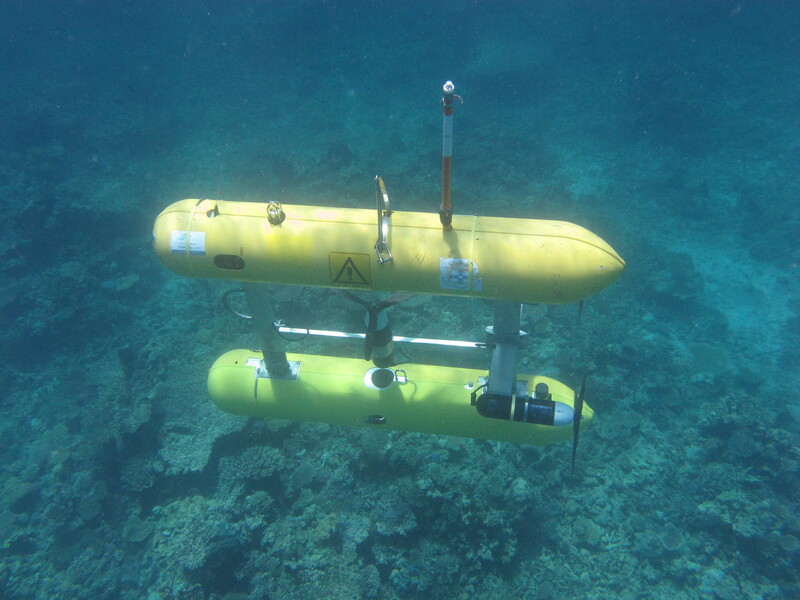 Keep an eye out for the seasnake and sharks taking an interest in the AUV during recent surveys on the Great Barrier Reef. In colder climates off of Tasmania, we also saw some playful behaviour from seals who seemed fascinated with the vehicle.